" . . . So that the works of God might be displayed." Welcome to White Oak Baptist Church! Please browse the pages of our Website to learn about the ministries of our church. White Oak Baptist Church is a Southern Baptist Church in Greenville, South Carolina. 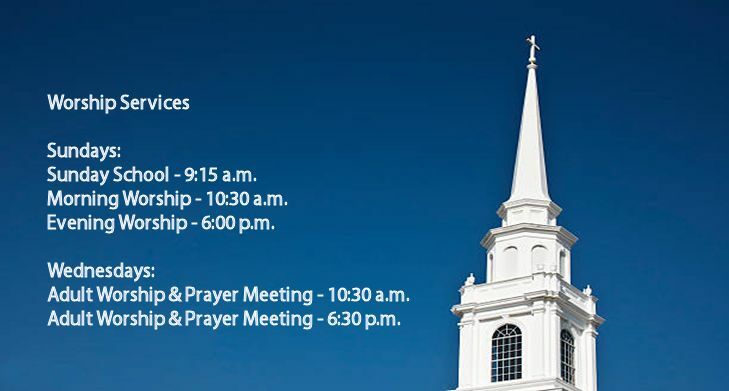 9:15 a.m. - Sunday School followed by a traditional worship service at 10:30 a.m. Copyright 2019 White Oak Baptist Church. All rights reserved.